The Castro District is located in Eureka Valley, San Francisco. Commonly referred to as “The Castro” by locals the neighborhood has the privilege of being one of the first gay neighborhoods in America. 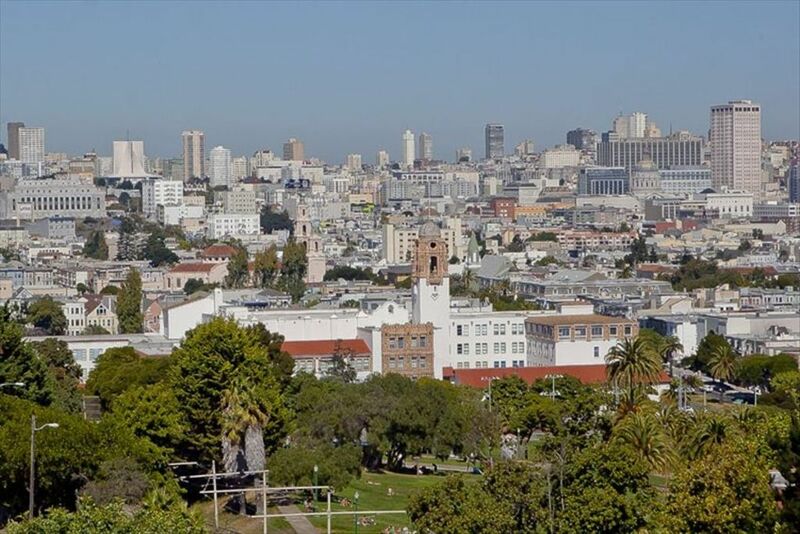 In the 1960s the area was a working-class neighborhood, and later into the decade and into the 1970s, the Castro became the home of prominent LGBT symbols, peoples and movements. These days, the neighborhood still maintains its LGBT identity and it is an important part of the city as it brings in a lot of tourists both queer and not. 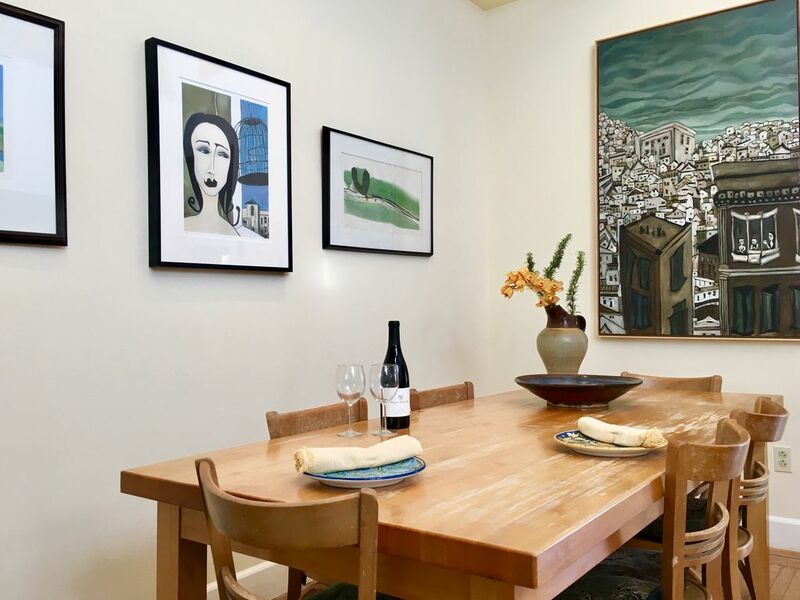 If you’re planning on visiting San Francisco and wish to stay in Castro, check out these great VRBO accommodations in the area. Large dining room table seats 8 with extra seating available. 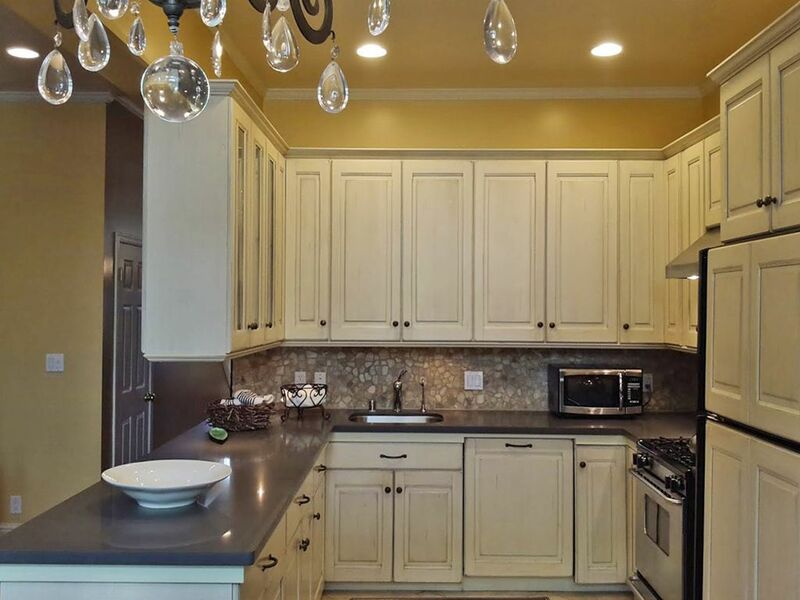 Custom kitchen w/ gas stove, bosch D/W, quartz counters, & stone backsplash. 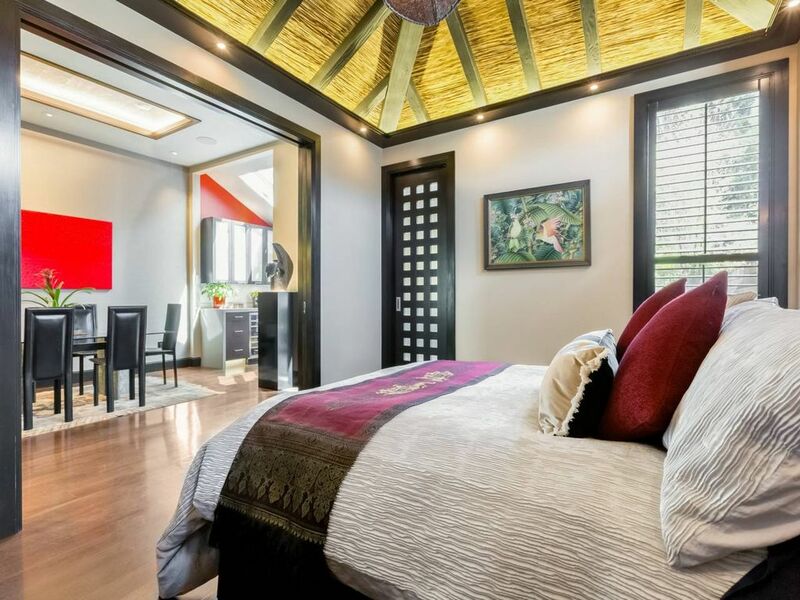 This large and quiet home is located in the heart of the area on a beautiful tree-lined street. It’s a perfect spot for family or friends who want to spend some time in the area. The neighborhood is vibrant and fun and public transportation is close by, so getting around town is pretty easy. 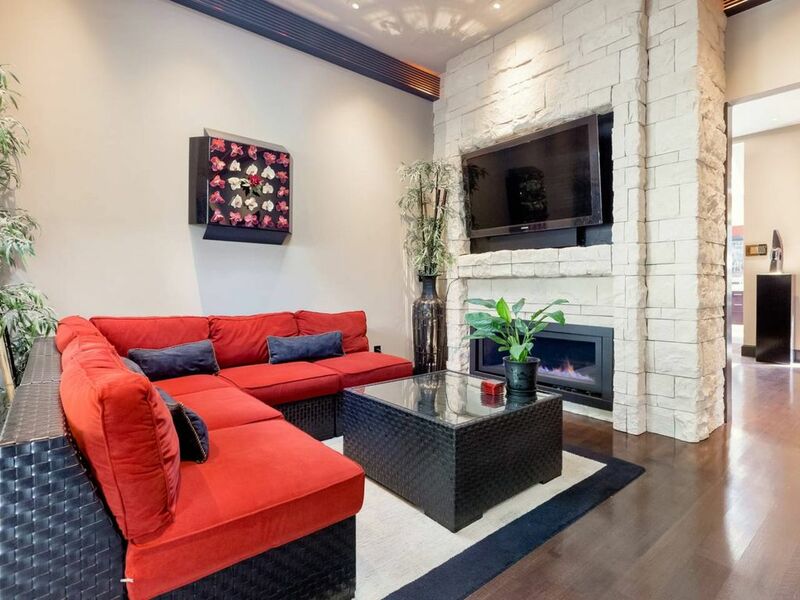 The luxury home comes with WiFi access, heated floors, a private patio with grill, a large-screen TV and a fireplace in the living room. Guests can also expect a welcoming bottle of California Wine and some chocolates upon their arrival. 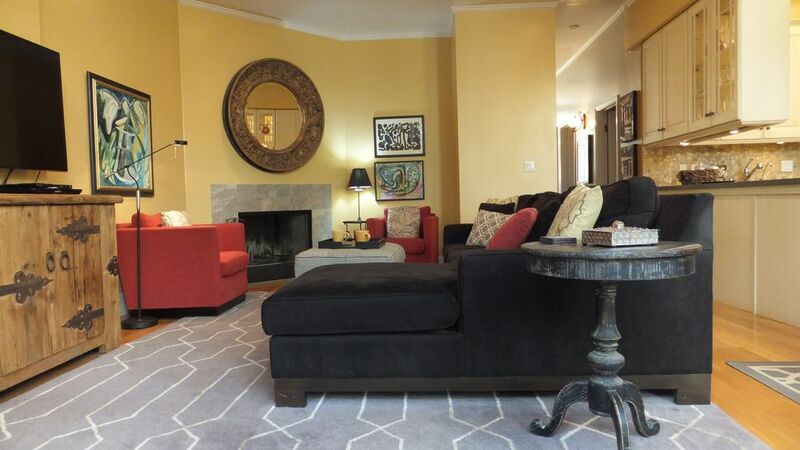 This amazing apartment is a great spot for friends or a small family. 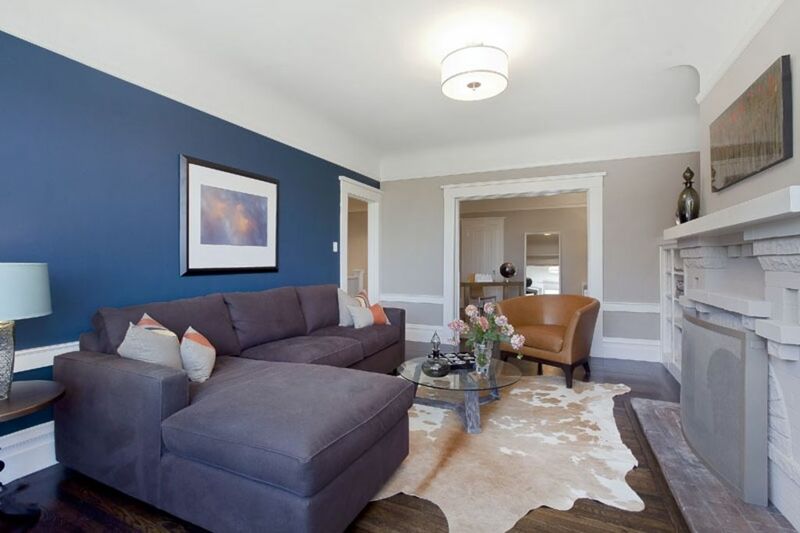 Sleeping up to four people, the apartment is located in an Edwardian home and it has a garden view, crystal doorknobs and brass accents that really give life to the 1908 property. 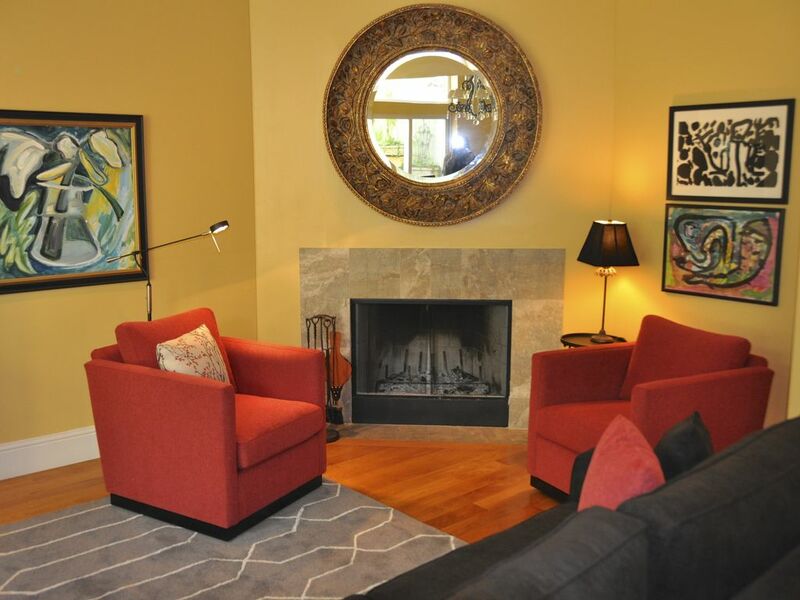 The home is fully equipped with everything from a renovated and full kitchen to WiFi and a TV. Fresh cotton towels are provided for guests and perhaps, best of all, there is a private extra-large hot tub under a gazebo for your relaxation needs. Take a step out of San Francisco and into the tropical paradise of Bali. 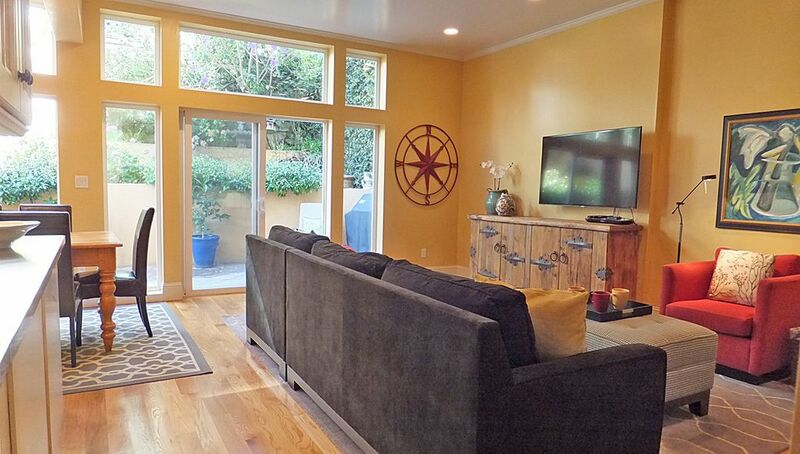 This home is influenced by the beautiful island and it is located in the heart of the Castro. Shops and restaurants are a mere five-minute walk away. 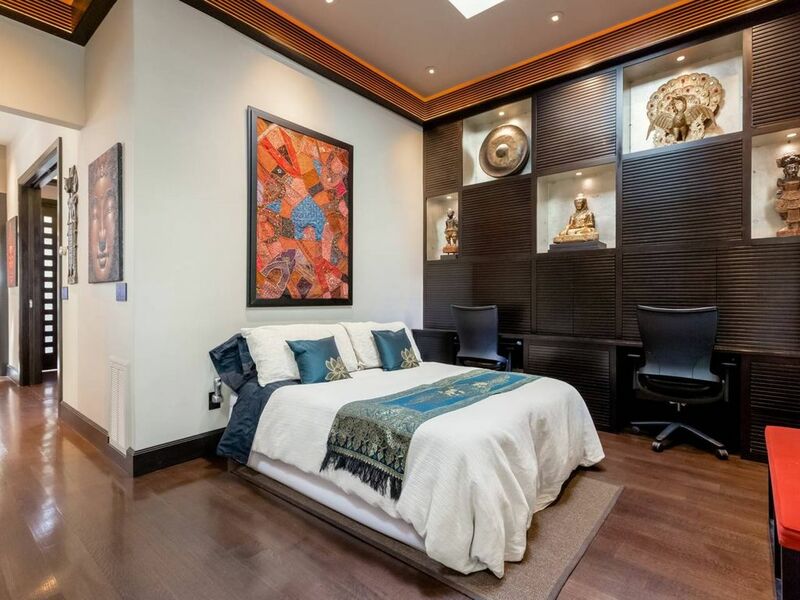 The home also has high ceilings with an air purification system and an iPad-controlled music system with integrated speakers, found throughout the house. Upon arrival here, guests will receive a bottle of Prosecco, a couple of Turkish gowns and access to the private on-site hot tub. 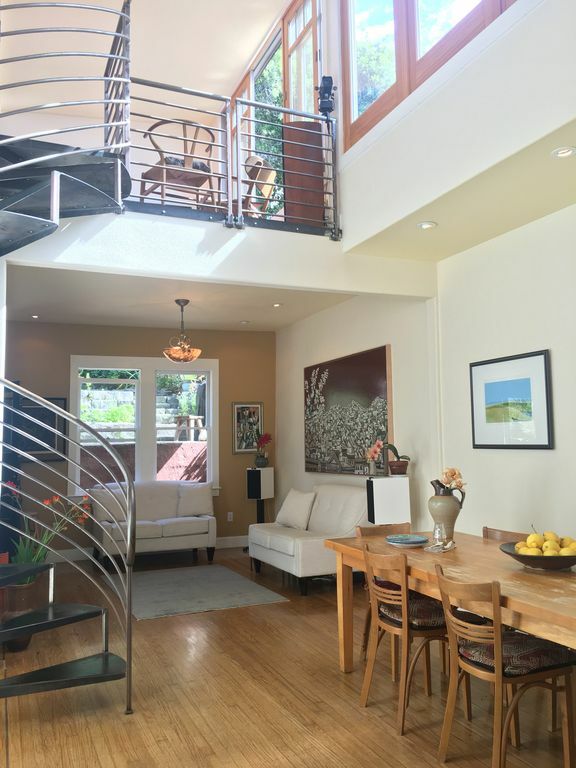 Located between the Castro and Mission, this home is a bright and beautiful place to stay while in San Francisco. 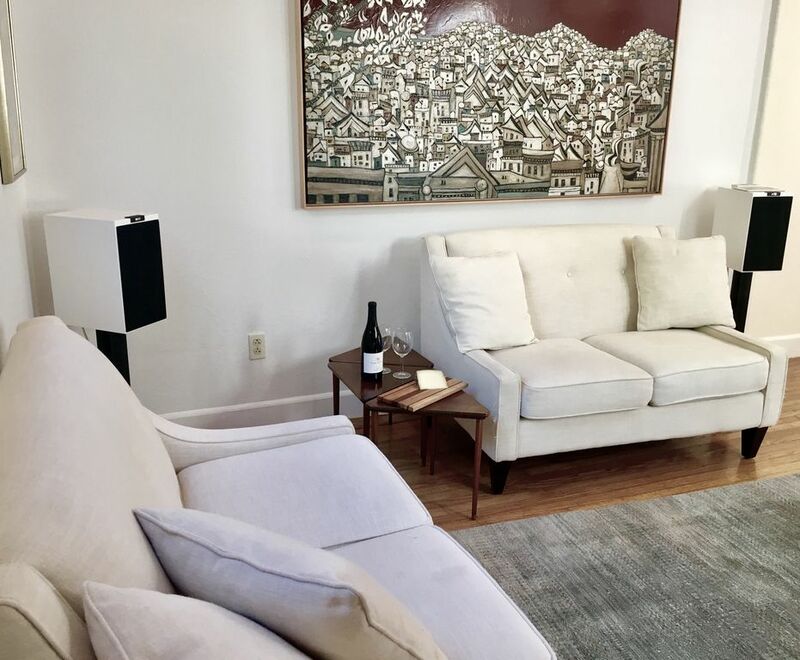 Located only a few minutes away from Dolores Park and public transit, you can get anywhere in the city just by walking outside. The home can comfortably accommodate up to three guests and its modern two-floor floor plan allows for space and privacy. 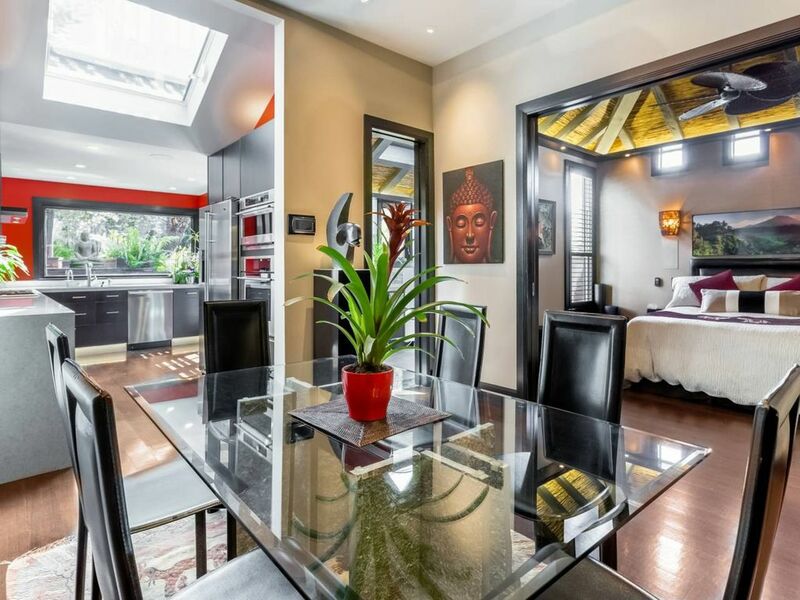 There is a full kitchen in the home as well as a private deck with a great view overlooking the garden, while the master bedroom overlooks the downtown area. A television and WiFi access are also available. 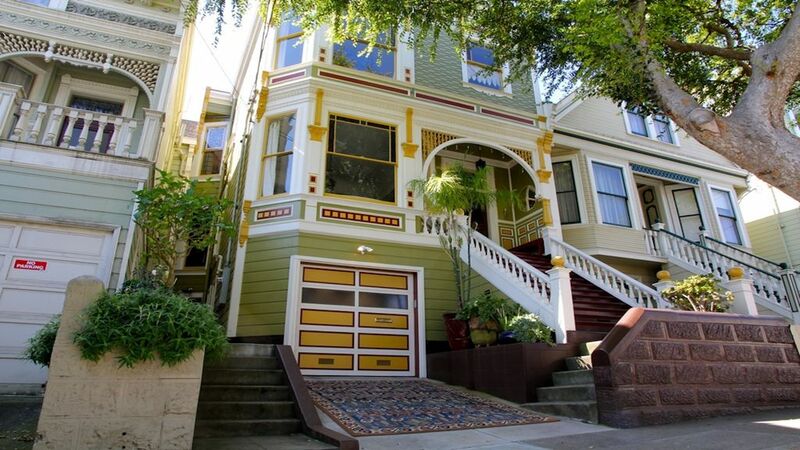 This large, Victorian, three-bedroom home is near everything San Francisco has to offer. 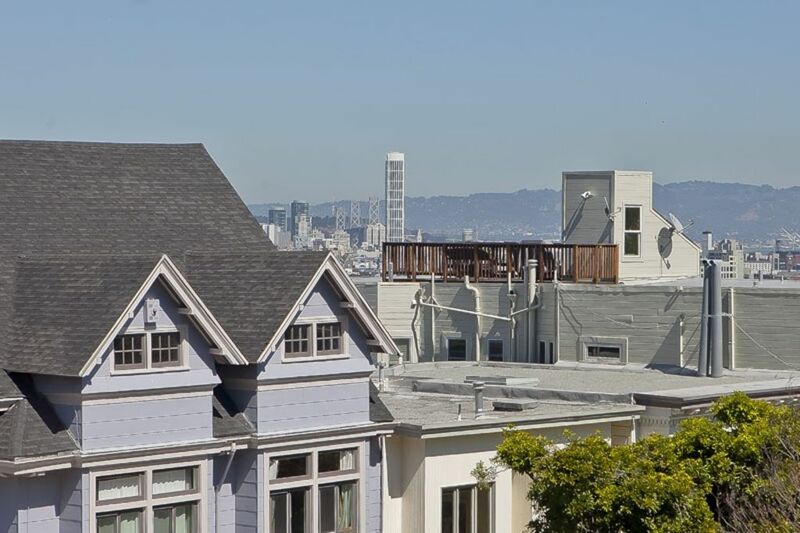 The Castro area and Haight-Ashbury are right around the corner because its central hillside location is near tons of local public transport. 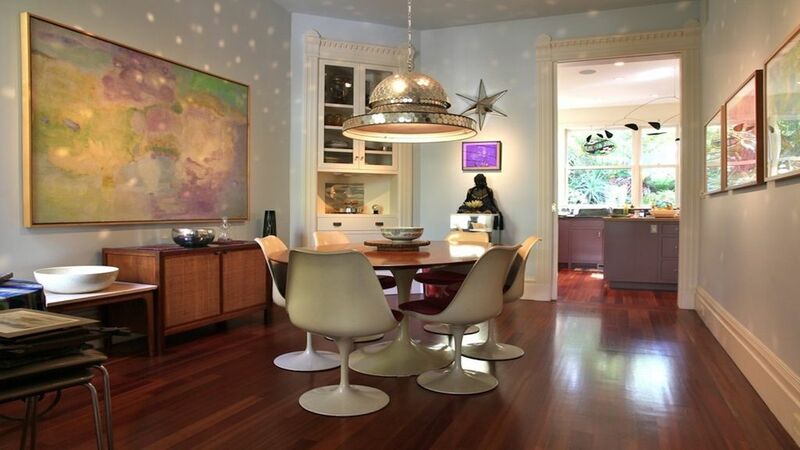 The home has been recently remodeled and it is near a dozen cafes, restaurants and entertainment options. The home is fully equipped with WiFi and smart TV’s as well as a dining room area and laundry facilities. 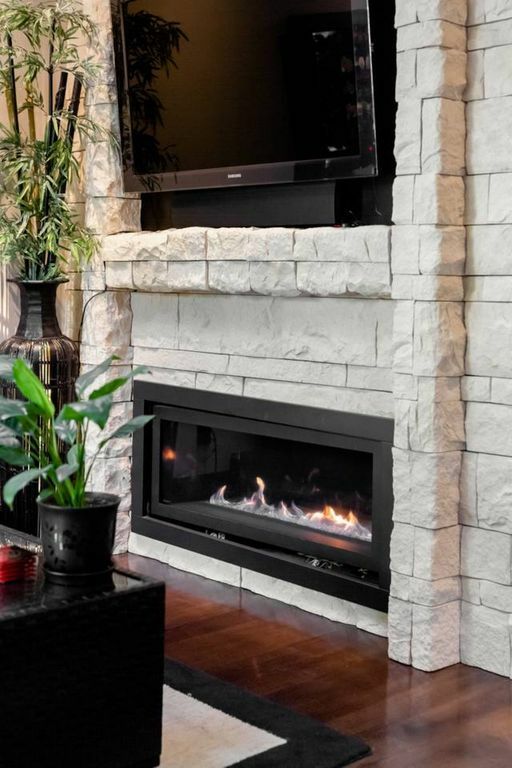 Enjoy a romantic night in front of the cobalt gas fireplace! 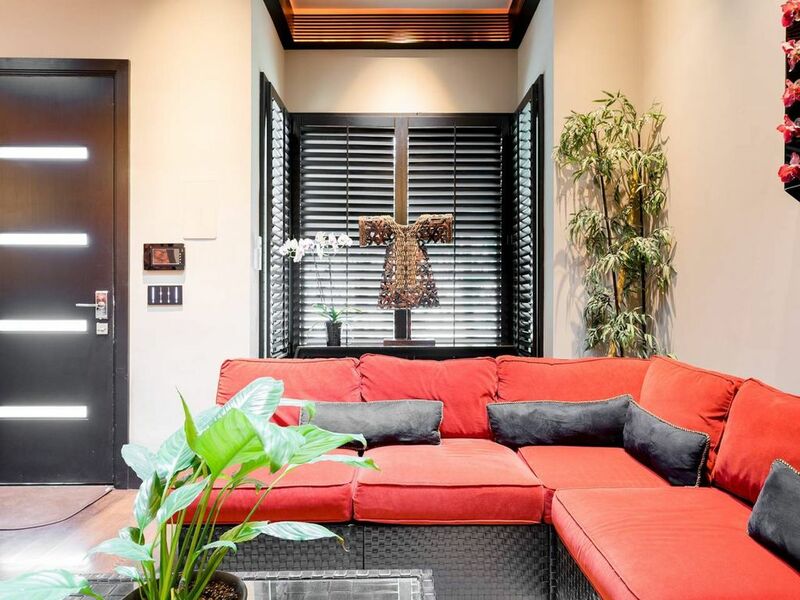 With large high ceilings and tropical inspired decor, this home is an amazing option for people staying in San Francisco. 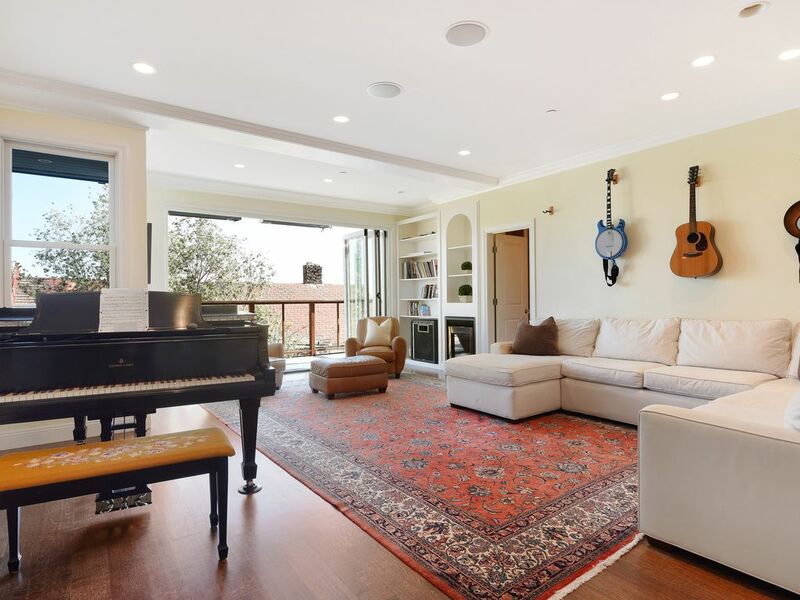 The home can accommodate up to six people and it is loaded with some amazing amenities like an integrated sound system and a beautiful backyard hot tub. 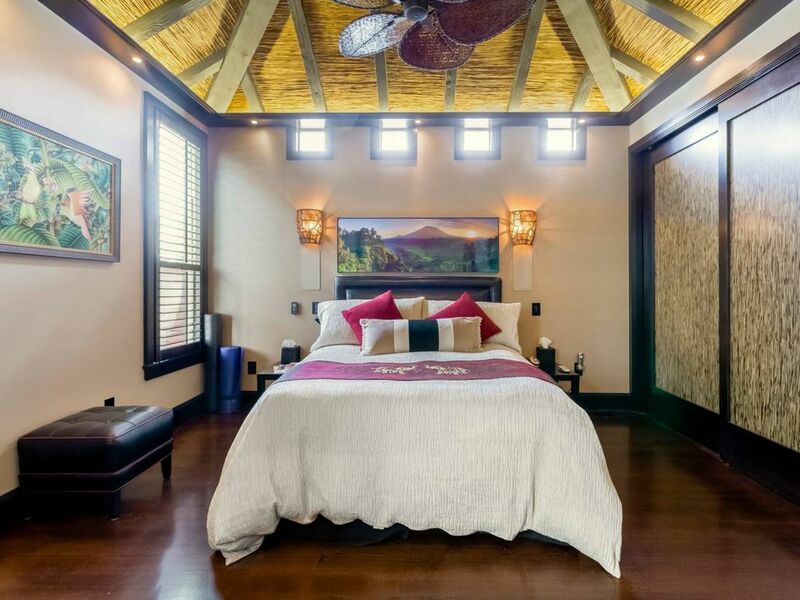 The master bedroom features a thatched light-up ceiling and a glass-enclosed rain shower in the washroom. There is also a tanning deck and a barbecue on site for guests to enjoy, and some welcome goodies when they arrive, like a bottle of Prosseco and luxury gowns. 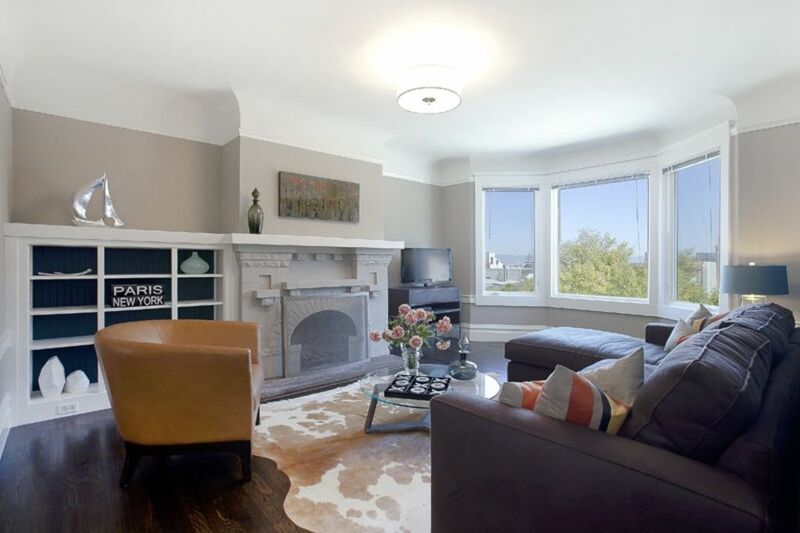 Located up the hill from Dolores Park, this beautiful home was built in 1915 and it has since been renovated in a modern and contemporary way. 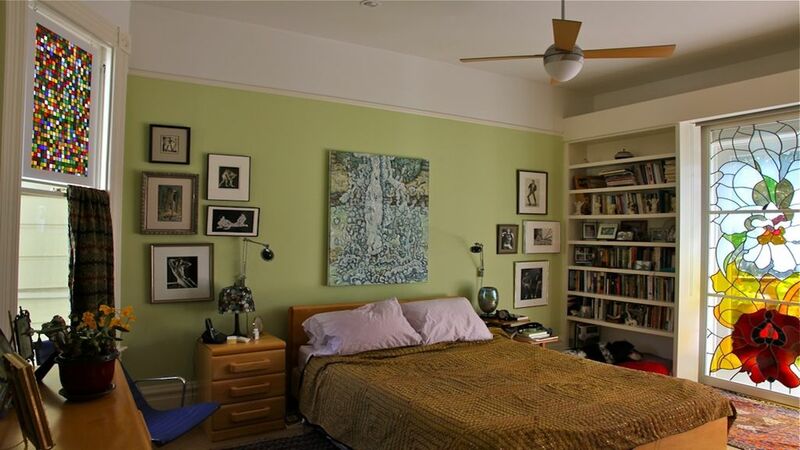 The home is centrally located and conveniently near many modes of public transportation. 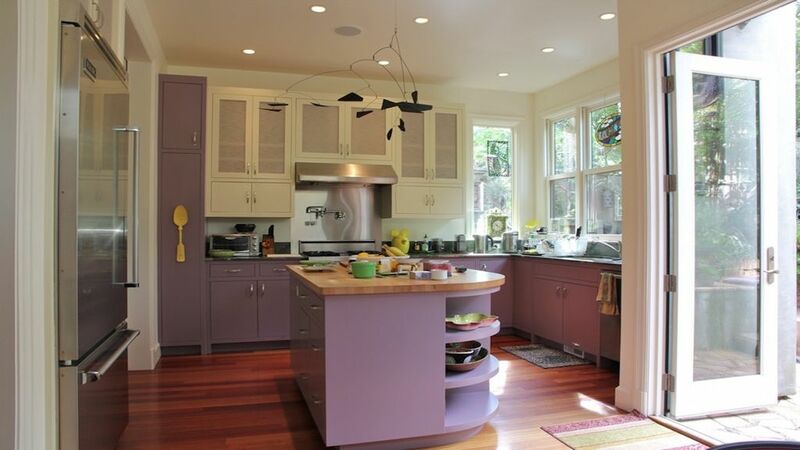 Grocery stores and many shops are also nearby, which are great because of the fully equipped gourmet kitchen on site. WiFi and TV access are available to guests and there is a private deck with dining furniture and a grill. 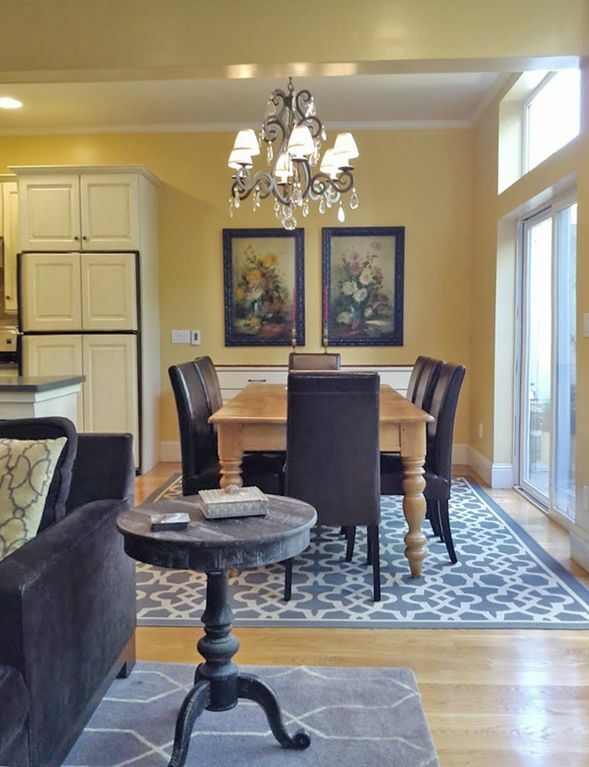 If you’re traveling with a large group of friends or family or even both, then this house might be for you. Sleeping up to twelve people, this large home is a brand new construction and it has four bedrooms and five bathrooms. 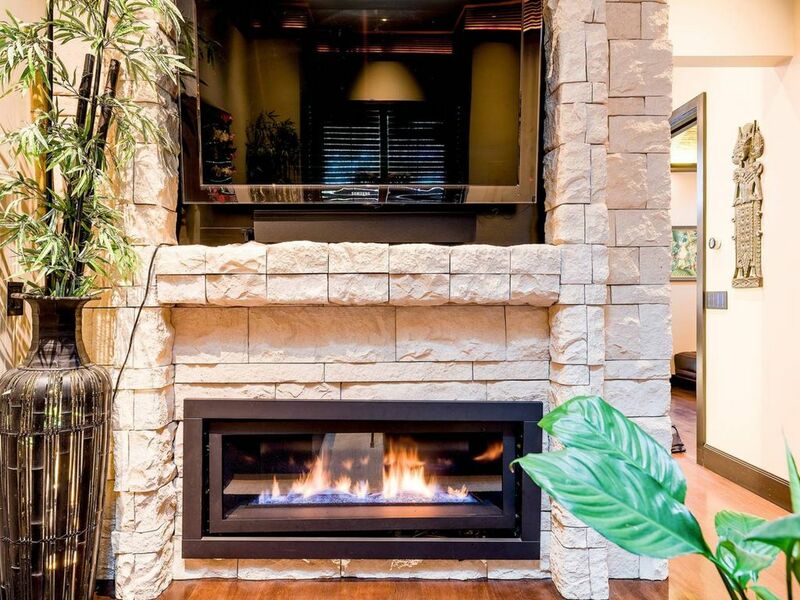 There are three fireplaces on the property as well as a fully integrated sound system. 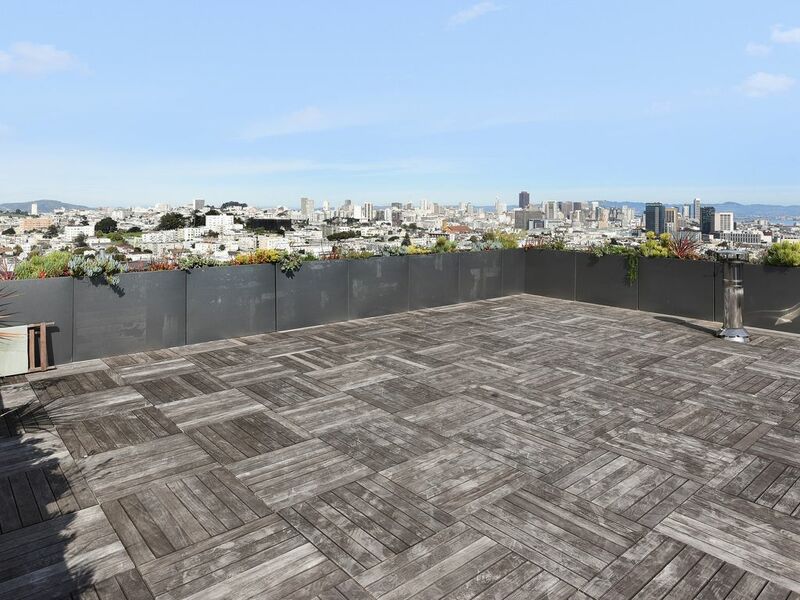 All floors in the home radiate heat and the amazing views from the top balcony allow guests to look onto the downtown area of San Francisco and the Golden Gate Bridge. In fact, there are five decks on the property and a wine cellar as well. To make it easy for guests to get around, there is even an elevator. 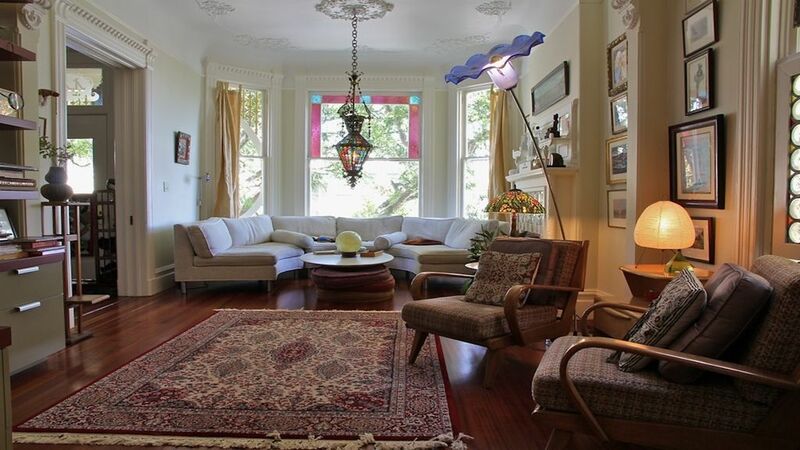 This gorgeous Victorian home was built in 1892 and it can accommodate up to five guests. 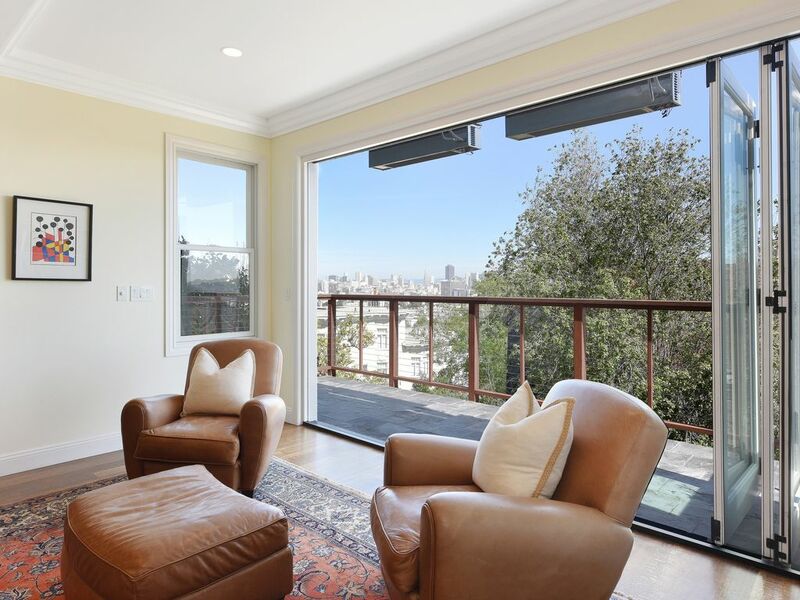 The home is an oasis in the city and it has beautiful hardwood floors and a private garden with a sitting area where you can get some of that San Francisco sunshine while you’re here. 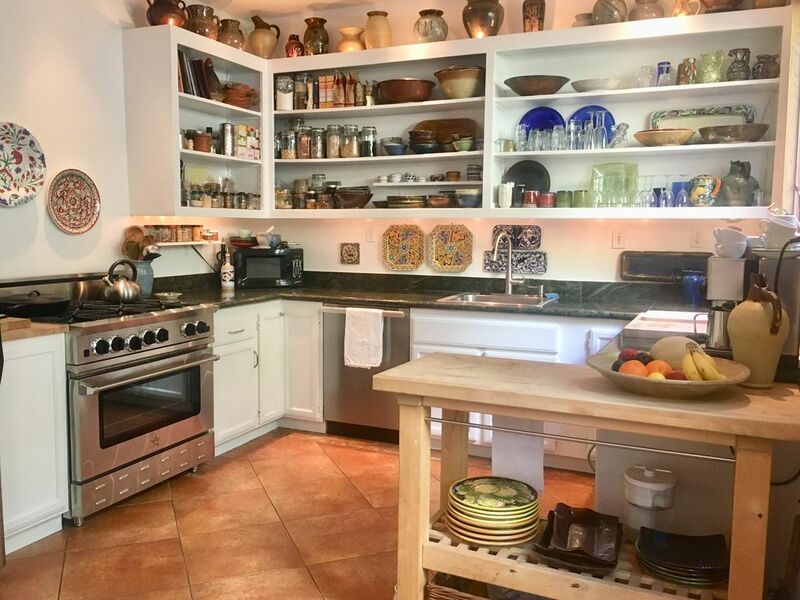 The home is near plenty of restaurants and cafes but it also features an extensive gourmet kitchen for home-cooked meals. 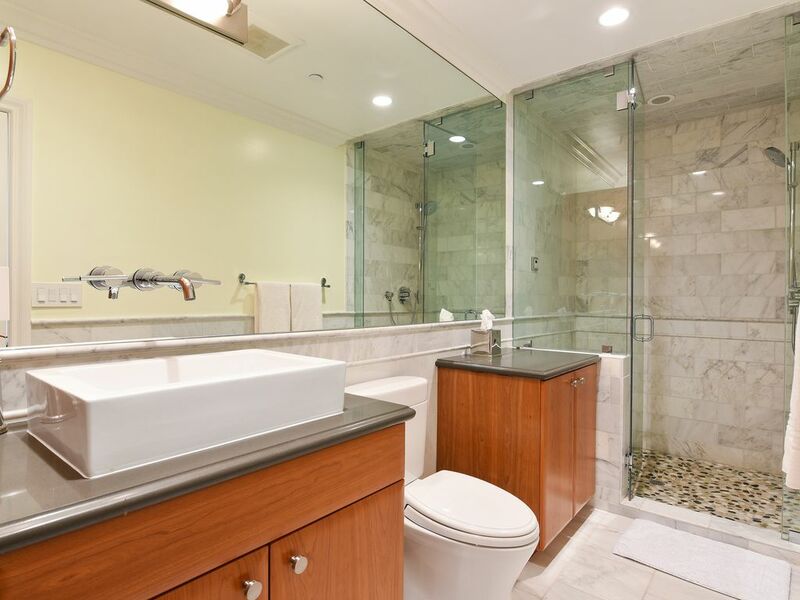 The private garden has a wonderful peddle mosaic and it also has an outdoor claw-foot bathtub with both hot and cold water. TV, parking, and WiFi are all included. 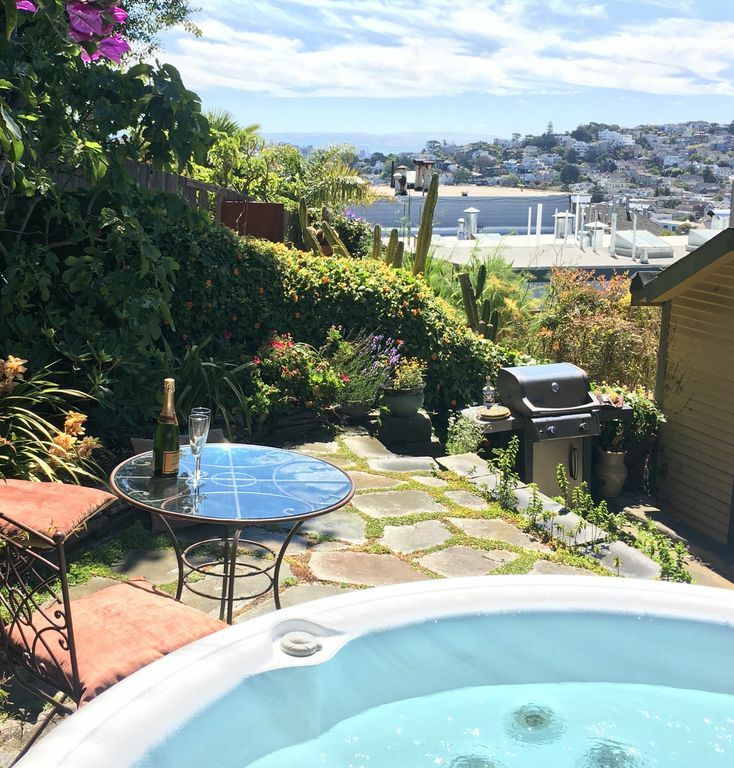 What’s better than a home with fantastic views, a private hot tub, and large comfy beds? How about being near Michelin-star restaurants, fascinating museums, and beautiful parks? 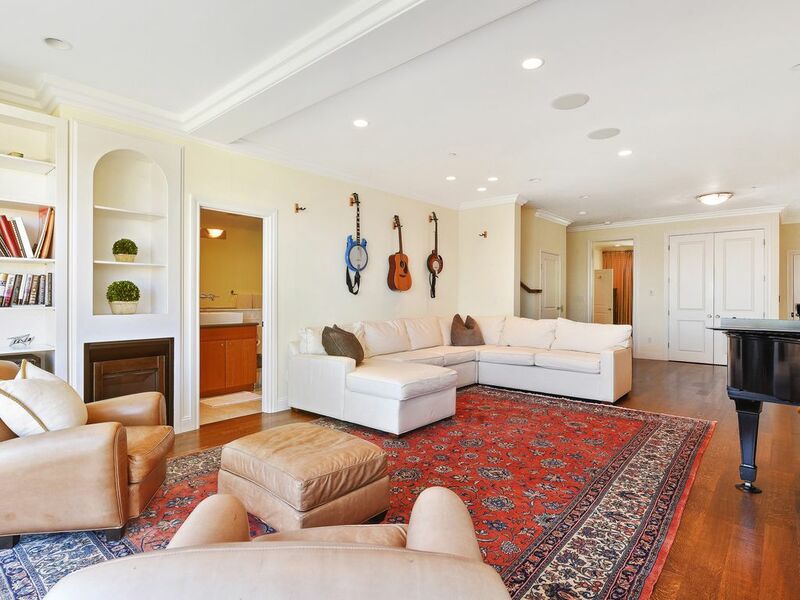 This home has all that and more. 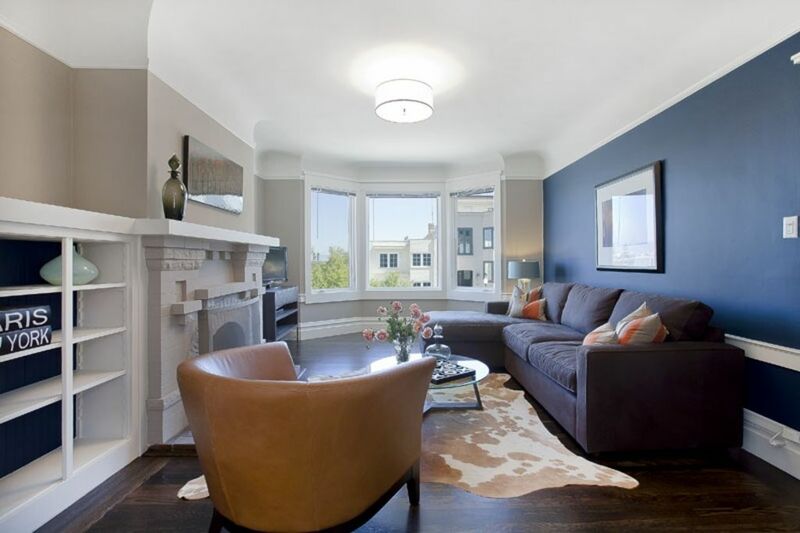 Sleeping up to two guests, it is a great spot for a romantic getaway in San Francisco. 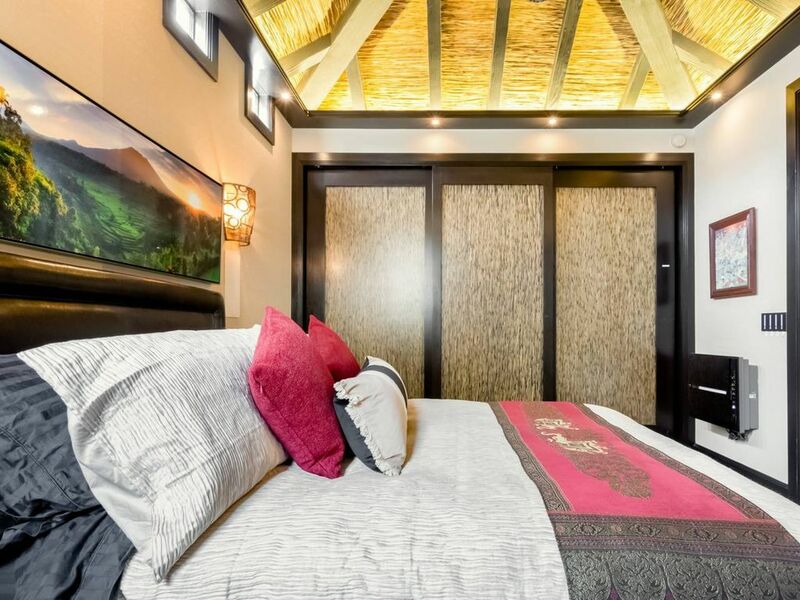 Through the fully equipped kitchen, guests will find the private patio area and there is a living room on the top floor with a large-screen TV and a window with a panoramic view. The Castro area is one of San Francisco’s most popular tourist destinations. The area thrives with tourism and it’s easy to understand why. The culture is vibrant and the food and transportation options are abundant. 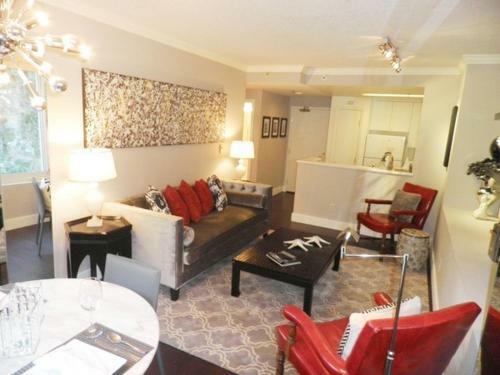 But if you’re not into all the traveling around the city, just stay in one of these amazing accommodations.